Until now, the conversation about intelligent home assistants has mostly been about Amazon's Echo and Google's Home. Microsoft has its own AI technology, Cortana, which integrates with Windows 10, but lacks a smart speaker like Echo and Home. But that's changing. 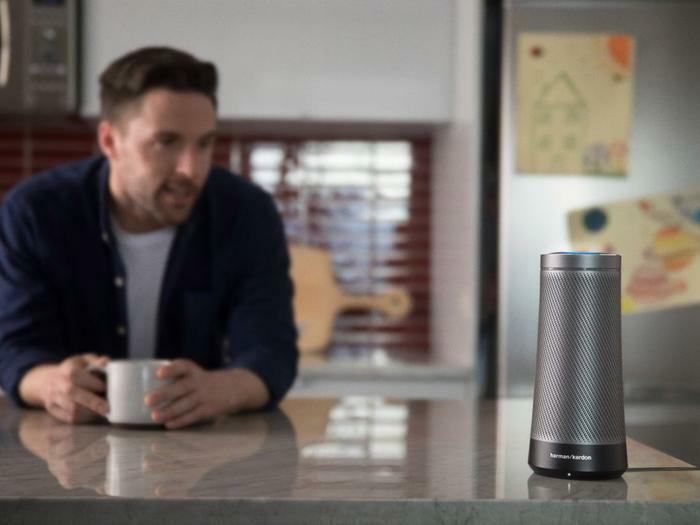 Samsung subsidiary Harman International has announced a smart tower speaker, the Invoke, that will be another voice for Cortana, playing music, answering questions, and even making phone calls with Skype. It will hit the market later this year. Michael Mauser, President, Lifestyle Audio Division at Harmon, says the device is designed for busy people. “Voice-enabled technology is the future; by teaming up with Microsoft, we’re delivering on our promise of elevating a connected life through smart technology, superior sound and the stunning design that is Harman Kardon’s hallmark,” Mauser said. Wired calls the Invoke "very much a me-too device," but not in a bad way. The technology company says Apple's expected entry into the smart speaker space will likely be very similar to its competitors. So far, consumers are pretty content to have virtual assistants play music, tell them the weather, read some news, and maybe control the lights and thermostat. Wired also suggests that the Invoke has added importance for Microsoft, since it lost out in the smartphone competition. It says Microsoft may have a leg up on the competition with its high existing market share of Windows users. Currently, Microsoft says Cortana is used by more than 145 million people across several devices and platforms. It touts the software's natural language recognition and says the integration with Microsoft’s suite of knowledge and productivity tools also provides an advantage. Microsoft says the Invoke will come in Pearl Silver white and Graphite black. The device will only be available in the U.S.